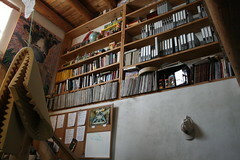 Perched atop the foothills overlooking Santa Fe, the indie label Frogville Planet and its eponymous recording studio provide over 25 albums’ worth of proof that great music doesn’t require big budgets or name-brand studio designers. What started as a temporary home studio using borrowed gear has turned into a full-time commercial recording facility that just about fills the whole house. It isn’t slick. It isn’t glamorous. But then a studio’s success is never measured by the depth of the shine on the coffee table at the back of the control room. The Frogville studio is a case-study on the notion that doing something yourself is the best way to make it happen. 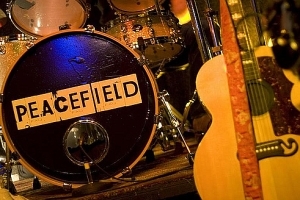 Starting with borrowed gear and what they describe as a less-than-adequate understanding of how any of it worked, studio founders John Treadwell and Bill Palmer have elaborated those humble beginnings into a shockingly great production facility that frankly blows my mind every time I spin one of their discs. 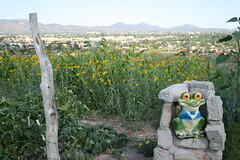 Treadwell, an artist and self-described “professional listener,” is also the cofounder of the Frogville Planet label. 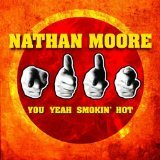 He teamed up with musician Nathan Moore in 2002 to promote a small group of unsigned regional bands. Faced immediately with the need to record, they took a leap of faith and set up a temporary home studio, reasoning that their limited budget would last a lot longer if they didn’t spend it on hourly fees at the commercial studios in town. 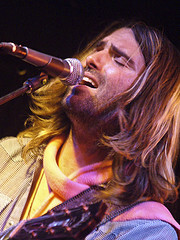 Palmer, a member of Hundred Year Flood, one of the original Frogville bands, stepped into the role of lead engineer for the fledgling studio. 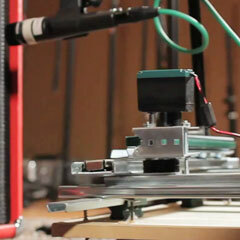 His first record proved the concept that it’s possible to make a great record at home. His partnership with Treadwell has made the studio what it is today — a place that evokes wonderfully emotive performances from its artists, then captures those performances beautifully using a fully respectable collection of professional mics and outboard gear. The studio is unpretentious by design, but more importantly, it helps John and Bill create a relaxed vibe that absolutely translates into the finished mixes. 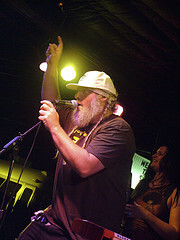 The label has enjoyed a lot of success, including awards from the local music press, nationwide radio play and presence on the charts, and a fan base large enough to support its annual FrogFest music festival. And they’re not stopping — just “five years into the 10-year plan,” they’re continuing to crank out new music, and they’ve begun working with outside producers to help fuel their own creative growth. I met John and Bill at Frogville last July for what turned into the most fun interview I’ve ever done. This is a really interesting space. Did it take you a long time to get to know it? How long have you worked here? JT: I had the house for a couple of years before everybody started rolling through town. 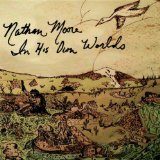 I already loved Nathan [Moore]‘s band, ThaMuseMeant, and they were kind of the thread that introduced me to all these others, Hundred Year Flood, Goshen, Joe West. Everybody was unsigned, so we figured we’d make a go of it, gather under one umbrella. JT: We borrowed a bunch of gear. BP: I didn’t know anything about making a record. I had used four-track cassette recorders, I had worked in the studio with producers and bands and stuff. But I didn’t know what an auxiliary was, at that point. I mean I did, but I didn’t really know how to use it. And a friend of ours came in and helped us track this record in like a week, or whatever we did, and we did it on ADATs or something like that. And then he got sick with the flu, and we only had a week, and we had to turn all this gear back in. He couldn’t work, and so I was just kind of sitting there, looking at it, and somehow I managed to figure it out. And and in a week’s time, with John watching “The Simpsons” and me under headphones, (laughter) I figured out how to mix that damn record and we put it out. And John was like, “Let’s just get some gear and start doing this.” And so we did. BP: It’s just kind of happened slowly over time. My experience has incrementally grown every year. I’m still kind of a rookie, really, five years into it, I’m still pretty new at it. But it’s just kind of gotten better. We were working on 16-track tape forever. It was only last summer that we changed over to ProTools. And how do you like that? How was the change for you? 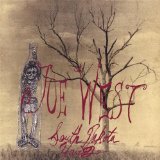 JT: The first full record we did in here with our gear won the 2004 Best Rock Album from the New Mexico Music Industry Awards — Joe West’s South Dakota Hairdo. And everything progressively has gotten just great reviews. Especially over in England, and Netherlands, East and West coasts… Little pockets where people are really digging our stuff. The last five records have stayed on the Roots music charts for twenty weeks, are getting spun on maybe 125 or 130 stations. And that was just with one girl, ten bucks an hour, making phone calls. That was our “machine,” one person talking to the DJs: “Did you get it — Have you heard it? Are you spinning it — why aren’t you spinning it? These people over here at this station really dig it.” Just talking to people. BP: You know, I think this studio really was kind of born from a different experience than many, than a lot of the other studios, in that we couldn’t afford — none of us could afford — to go down to Stepbridge. And the guy who owned it before Edgard was hard to get along with, and we couldn’t afford it. And there were a few other studios around town that were sort of substandard. And we felt like, “Why would we go buy time at a substandard studio when we can just do it ourselves?” And so that’s kind of how it got started. It wasn’t like we were really trying to get into the recording world. JT: We were trying to make music. BP: We were trying to make music. And the collective of the people, Joe West and Nathan and these various people, the collective of these people, we were trying to propel this bigger thing, outside of Santa Fe. And so, I think our product, at one point, got good enough that people started calling us, saying, “Can we come record at your studio?” And that was only a couple, three years ago, two years ago maybe, when people from the outside started wanting us to produce their records. So we’ve been doing more and more of that. We’ve done all kinds of projects. We had Taj Mahal in here. Taj walked in, and John says, “Well Taj, I know the studio’s not much to look at.” And he says, he looks around and he says, “You said that, not me.” Well we found out later that his is maybe not even as big as this one. (laughter) But I did some mixing for Val Kilmer a few months back. I mean, we’re getting some pretty good people. We’ve worked with some great producers — Andy Kravitz was in here last summer; he’s Lenny Kravitz’s cousin. He’s worked with some great people, like Billy Joel, Rolling Stones, and various people. He’s an engineer, a drummer, but he came in and produced my band’s record. I really learned a lot, looking over his shoulder, about being in the moment with your mixing and your tracking. JT: Just on the fly. BP: On the fly, everything was just like that (snapping sounds). Just do it now, don’t take time, nothing’s precious. Just be in the moment. And now we’re moving into the mastering realm, so I’ve started getting calls from some bands from around New Mexico here, wanting me to master for them. I don’t want to take away anything from full-on mastering studios and the mastering experience. A great mastering guy, and a great mastering studio, is priceless. But what we’ve found about having records mastered is that the quality — or the level of mastering — that we can afford, three times out of four the record comes back not sounding as good as it did when we sent it off. It may be louder, but it’s … it’s like you work on something for three months or three weeks, whatever, and you put every fiber of your being into it, and you EQ it the way you want it, and you get it sounding the way you want it. And then you send it off to some guy to spend half an afternoon, mowing over the top of it with something. So we started thinking that we’re throwing away a lot of money getting these guys to do this. Are the bands that come in usually ready to go? Are they looking for advice on song crafting, or do they just want to set up and play? I think the $2000 record, the $5000 record, or the $10,000 record, are all three completely different records. JT: There’s not a lot of pre-production going on, where we’re mowing over a whole catalog. But it depends. For the bands that have a tight budget, they can afford X amount of hours, we hope they know their stuff when they come in. Because we want to make them the best product we can, within the constraints involved. BP: If somebody says, “I’ve got three hundred dollars and a half of a day to spend,” well, I can help them. JT: And we’ll use everything we’ve got. We don’t hold any gear back or anything like that. BP: One thing that I found really important when I was working in studios, before I started recording, was that you never want to feel like you’re on the clock. It’s a horrible feeling, and it really works against creativity. When you’re spending nine hundred dollars a day, it’s hard to avoid that feeling. Unless somebody with deep pockets has got you in there. We really try to keep that feeling out of here. So we charge really reasonable rates. And I like to work by song, too — get paid by the song. So it takes however long it takes, instead of by the hour or by the day. Is there a typical session length here, for a full CD? BP: It depends. I mean, we’ve had bluegrass bands in here standing around one microphone for a day. This Nathan Moore record that we’re mastering right now — that took fourteen days of tracking and mixing. JT: But we sleep until noon. Our day starts at about noon or one. BP: And go until two or three o’clock in the morning. Sure, I see that everywhere. JT: Good, good. (laughter) I was afraid we were … those Stepbridge guys, they crack the whip! BP: In at 7:00 AM, boy! Do you prefer to track a band live, or do you tend to record the drums first and overdub everything else? BP: We do it anyway, everyway. I actually prefer, and I think the best records we’ve made, at least the singer, guitar player and drums are live. Because I like what happens when those things bleed into one another. I really like it when the drums are coming through the vocal mike, and I like it when you hear a little vocals in the overheads and stuff. I mean, we’ll separate things; we’ll stick a amp in the bathroom, and then there’s a little amp closet under the stairs. 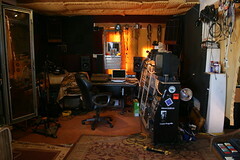 And oftentimes this room in here is where I put the drums, here in the control room. The next room over is a stairwell; it’s got high ceilings. I’ll usually put the singer in that room. And sometimes I’ll block it off to minimize the bleed, and sometimes I’ll just leave it open. I’ve gotten where lately if it’s not a really loud drummer I’ll leave it open. And even if it is a really loud drummer, I’ll just have the singer sing through a 57. Because dynamic mics tend to be less sensitive to the ambient sound? BP: Exactly. But if it’s more of a folk kind of a thing, with quieter drums, then I’ll use the U-87, or whatever. But lately I’ve gotten to where I really like to hear 57s on vocals. My wife is a really powerful singer, and when I first discovered that I loved using 57s, we were recording these country tunes in here, and the whole band was set up in here. And she was just walking around — it was a Beta 57, actually — she was just walking around with it in the room singing. And the finished product had that sound, like you could hear her voice — like if you squash the actual vocal mike you can hear it then develop into the overheads and the room mikes and stuff like that. So you get this kind of a bigger effect. The 57, there’s just something so “growly” about it that I really like. When you have a vocalist in the stairwell, do you put an ambient mike somewhere too to try to capture that natural reverb? BP: Often times. Especially if the vocal isn’t live. I’ve really, almost always with banjos — we did a banjo track in here for a record a couple months back — and I had Nathan sit in the middle of the room in here, with his banjo, and I think I had the U-87 on it. I had the bass cabinet in here. And I had the Blue Baby Bottle on the bass cabinet. It’s an old Ampeg V-18. And so I just opened up all the doors, and I had him tracking his banjo in here, and it was coming through. And I had the bass mike as his room mike. So it was real nice, spacious. Because what we lack in ceiling space here in actual room, we make up for with corridors, and little nooks and crannies, and things. You operate both a record label and a studio here. Are they independent? JT: The studio and the label are interconnected because of the bands involved. But if I came in here and said, “I want to track three songs, I’ve got a weekend to do it” — obviously I’m not asking for a distribution deal as well — so I imagine the studio is open for that sort of a la carte recording as well? JT: Oh yeah, totally. That’s how the studio exists as an entity itself. We’re guns for hire. A lot of people come in with the hopes of getting on Frogville [the label]. But, look, you need a budget to make the record. And then when the record’s done we’ll decide whether — and we won’t be mean about it — but we don’t have enough money to take care of the bands we’ve already got (without taking on new clients, new acts) that we’re trying to promote. Is Frogville roster of artists pretty much frozen? JT: It grows. Every couple of years, we get another act or two. I mean, some things are so good you can’t deny it. So you just make it happen, one way or another? They want to know that you’ve got a little machine that’s going to be promoting this thing, and a budget to tell everybody about it. And then we’re golden — then it’s just a matter of getting the bands where they’re getting airplay. We’re all just starving artists. But we’re real proud of our product. It has gone a long way on its own. Some of the stuff has had more legs than others. But eventually something’s, somebody’s going to pop up above the radar. Nathan Moore — the guy we’re mastering right now — he just won the Telluride Bluegrass Festival Troubadour Competition. He’s got a band with The Slip, out of Boston, called Surprise Me Mr. Davis which has been getting a lot of press. We did their first album, and they’re recording right now up in Vermont somewhere near Burlington. And they’ve got some interest from New West and a couple bigger labels — well, it’ll be interesting to see what happens if they get picked up. Nathan’s a part owner in Frogville [the label], so hopefully we’ll get to keep his solo catalog if some record company can spend millions of dollars making him as famous as Bob Dylan. “We’ve got Bob Dylan’s first six records!” (Laughter) Eventually, hopefully, we’ll all be able to retire. The view from up here is really great. How much land do you have? JT: Almost three and a half acres. Do you have any plans to expand the studio? BP: You notice how all those houses are kind of tucked down just below the top of the hills? JT: We bought the top of the hill because we wanted to build on top of the hill. But right now, [the planning commission says], “No, you have to build at the lowest possible spot.” And so now we’re having to pay a surveyor to cut the property into lots, so that this is the lowest building spot on this lot. So it’s just paperwork and flaming hoops you’ve got to jump through in order to proceed. BP: But at the point that happens, I think this studio will really benefit, because the whole space will open up. BP: (laughter) Wait, wait, wait! BP: All the creaks and squeaks, man, just make the records better. Do you have the little red “Recording” sign upstairs? JT: No, no we don’t. (laughter) We couldn’t afford the electrician to put it all in! But we’re working on it. It gets a little better every six months. We get another piece of gear, a little something that makes it better. Where did all the gear come from? BP: It’s the studio that Ebay built! 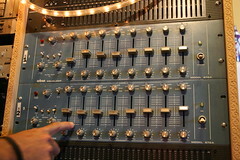 BP: We’ve gone through a lot of things, some Neve preamps, some Trident things. 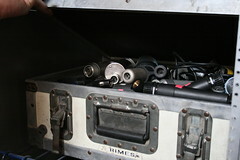 Some of the most legendary pieces of gear that we’ve had in here, we’ve just gotten rid of. We’ve found that other things, like the Focusrite Red 1 was just such a superior preamp to the Neves and the Trident stuff that we had. JT: Ebay is a blessing and a curse. You can get some really nice gear, some gear that was really “driven on Sundays,” or whatever, and you can find some things that have been through the mill. And if it’s not working we pass it on. BP: John came across a bunch of Orban stuff. It’s old, like late ’70s. Apparently Todd Rundgren was using it a lot. I guess there was a little period there when it was kind of cool. But I just love it. JT: It adds a little color. BP: It adds a little funk. JT: We like something that gives a little character. Especially now that we’re printing to digital, you’ve got to color it all before it hits the hard disc. We still want a great analog front end, going into the computer. Because if you warm it up going in, you don’t need to do that much to it coming out. BP: If you’ve got a cool ProTools signal and you run it out through your Neve board and your LA2As and all that stuff, you’re going to get a classic, tried and true sound. JT: There have been several projects that if we had the budget, we’d have sent to somebody else to mix and run through thirty two channels of Neve, or something. BP: But also, I feel like the future is moving away from that. That kind of gear is pretty expensive. BP: I think that the transition that the music industry is going through changes the face of the recording business in so many ways. And I feel like the particular circumstances that we’re seeing happen nationally, if not internationally, will benefit smaller studios like us. It’s so cool because you can really do great work with so much less of a budget than ever before in history. I mean, think about in the ’60s how much it cost — you had to really be somebody to go in and make a record. Proportionally speaking, the thought of somebody having a recording studio in their house would just be absurd. BP: Instant gratification. And it’s like I was saying, what I’ve learned — it’s a lot less is precious than people would have you believe, like in all the recording magazines: “Oh, you have to do this…” No, you don’t! You need good songs, you need a real creative approach. I mean, you could make a whole record with a bunch of 57s. One of my favorite bands coming up was Swervedriver. I was just reading an article with Adam Franklin, the singer, and he was talking about their records. I just loved those records, man; I used to listen to those records over and over. Adam was talking about all these guitar parts that were on his four-track demos that they couldn’t get that sound [in the studio] — so they flew it in from the four-track. And built it around this four-track demo. JT: Yeah, well, he can keep that job. That was Andrew’s point too! BP: It’s very legitimate — I mean, I hear that stuff, if I turn on Nashville Radio, it just blows me away what these people — the lengths that they go to, to make it perfect. I don’t enjoy those kinds of records. I just don’t enjoy it. I’d love to have a job working on a Britney Spears record; that would be very interesting. But it’s not going to happen, because that’s not the path I’m going down. I’m looking at these other things. JT: We’re way more into the human element, the “warts and all” type of thing. …whereupon Big John gave me a CD that has become my favorite record of the year, ThaMuseMeant’s 2006 release Never Settle For Less — an astounding collection of clever, catchy, soulful folk/pop songs performed by an offbeat acoustic string quartet (guitar, mandolin, bass, violin) that deserves a longer feature in this space. That’s not to say I could do it justice, so, I don’t know, just go buy it. Thank you. I’ve been witness to Frogville at every step of its evolution and, being a part of it, there’s always a bit of satisfaction that comes with recording there. But, as much as the artists of Frogville like to share, it all really comes down to Bill and John. Bill is the captain of the ship, with his patient passion and wise ears, you just tell him where you want to go. John is the God who sees to it that you sail under clear skies! The rest is just plain great gear and the freedom to take our time. Nowhere else have I made recordings that sound so good and comfortable at the same time. It’s usually one or the other. Frogville is also a social crossroads which can lead to a lot of surprise appearances on records. I don’t know how many twisted choirs I’ve thrown together out of people dropping by in the midst of a session. My favorite cut off of In His Own Worlds is probably Maybe Some Day with just me on piano and Michael Kott on cello and he just happened by that night. Many thanks to Big John and Bill for the eye-opening visit and the introduction to some of my new favorite music. Thanks also to Morgan Corviday of Pica Productions, Graphic Design for the photos of John and Bill at the top of this piece; see more of her great pictures at her Flickr photostream. I love your site and this article is a great one for a native New Mexican to hear! I do, however, have to question how a studio with a 16 track reel to reel and at least one U87 is considered “small budget”????? “small budget” is a relative term that completely depends on your experience or knowledge of the idea of “recording studio”. Most famous recording studios are million + dollar studios, there are tons of not so famous recording studios that cost millions of dollars to build/ treat for acoustics, or to fill with gear and mics, some consoles cost a million dollars. Then of course if you are recording on cassette or minidisc or on of those digital work stations, with the free mic that came with the radio shack recorder, I guess even a 1300.00 used U87 or a 500.00 tascam ms 16 1″ 16 track might SEEM like BIG budget… but I promise you it isn’t. I know the vocal on Beck’s “loser” was a radio shack pmz mic or something cheap, but I also know they spent alot of time in studios and with nice gear putting the album all together .. dust brothers, awesome! We started the studio with 20 grand which IS low budget, but you learn to work with what you got and make the best with what you got….. of course LOL we have spent that 20 K over multiple times. and we still have a wish list of gear thats as long as my arm. Great article! Great company! Great Music! Great people! FYI I was the guy who brought over the recording equipment to make the first album at Frogville. My bands name is Broken Trophy. And for the record, that “cheap Peavey pre-amp” is an AMAZING little piece of gear. Class A tube circuitry for a fraction of the price and the HYF “Flutterstrut” album is proof of how good it sounds! Peace Love and Happy New Year! Bill Palmer has the energy and vibe of a guy on the path to greatness. He and Big John are blazing new trails in Santa Fe, proving that great music can be made in modest surroundings. Impressive article! Frogville is an amazing studio/company delivering spectacular music from some very talented musicians. Bill Palmer’s work is genius. What he & John Treadwell have done with this studio/company on such a limited budget is awesome! KEEP CRE-A-TING and delivering the best that Frogville has to offer! Cheers! Much love and peace for a prosperous New Year! I LOVE THE FLOOD! As someone who has tracked at Frogville a couple of dozen times, I can tell you that Bill and John’s passion for making great albums is REAL. Bill Palmer may be a “rookie” in his own words, but he is one of the most patient and supportive engineer/producers I have worked with. Just check out any of my top 3 fave Frogville records: Boris’s “Cactusman”, Joe West’s “South Dakota Hair-do” and Nathan’s “In His Own Worlds”. The good vibes actually bleed onto the tape!